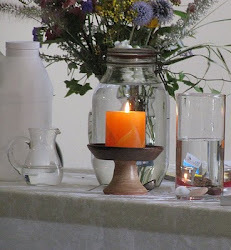 UU A Way Of Life: Today's lesson, number 91, "Miracles are seen in light." Today's lesson, number 91, "Miracles are seen in light." Today's lesson, number 91 from A Course In Miracles, is "Miracles are seen in light." When we are walking on the path of the ego we are walking in darkness. When we turn onto the path of the Spirit, we experience miracles and walk in light. What is the path of the ego? The path of the ego is based on conditional love. I'll love you only if you do or don't do certain things. The dynamics of the ego are "give to get" and "one or the other." The path of the ego is based on the prinicple that there are winners and losers and one of us is better than the other. It is this mind set of conditional love that the Course calls darkness. When we shift to the path of the spirit our mind set changes to Unconditional love. You don't have to do anything to be loved by me. I love you just because I want to love you because I recognize your inherent worth and dignity. The awareness of inherent worth and dignity at a deep, deep level is what the Course calls a miralce. It is a miracle because it is so different from the experience of conditional love. Would we choose the experience of resentment, grievance, guilt, and fear of the path of the ego with its darkness if we knew we had another choice? That other choice is the path of the Spirit which is the experience of the peace and bliss of Unconditional love. 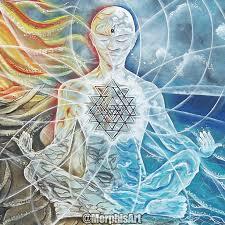 The path of the ego is based on the belief that the body is what and who we are. 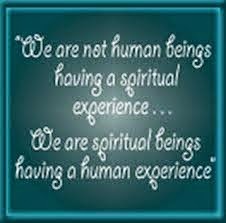 Some of us know that the body is not who we are, but we are rather the spirit or what the Course calls our Mind. It is in our Mind that our inherent worth and dignity lie not in the body. The body withers and dies while the Mind gains in strength and beauty as it becomes more and more aware of its part in the Oneness in which its strenth and power lie. Today, I will remind myself several times that I am not a body, but rather I am part of the Mind of God. My inherent worth and dignity reside not in my body but in my Mind which I share with God and all of God's creation. In is in the light of this awareness that miracles are experienced in the light. For a brief video commentary on today's lesson click here.